WASHINGTON -- The White House says that President Donald Trump had considered firing FBI Director James Comey "since the day he was elected president." 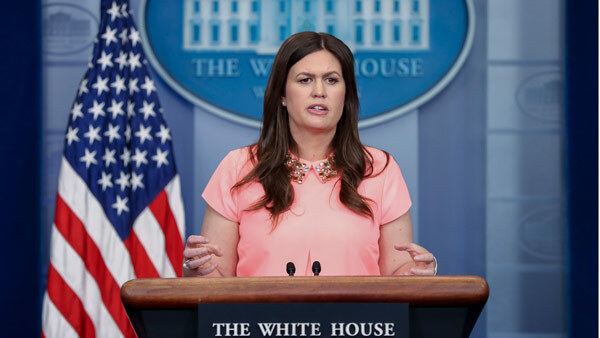 White House spokeswoman Sarah Huckabee Sanders said Wednesday that the president had "lost confidence" in Comey and acted on the advice of the deputy attorney general and others when he decided to fire him on Tuesday. Sanders said, "I think it's been an erosion of confidence" and that there were a lot of "missteps and mistakes" leading up to the decision to let Comey go.